Have I told you lately that I am obsessed with all things lemon? It’s true! 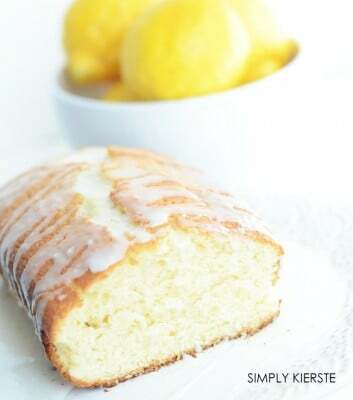 I was looking back through my recipes this week, and seriously, half of all of my dessert recipes are lemon! I love it in pretty much all forms, but when you combine it with cream cheese and a buttery shortbread crust, it’s quite simply, heaven. Lemon Shortbread Squares are super easy, and SO delicious! These make a perfect spring and summer dessert–not only do they taste amazing, but they look so fresh and pretty too! Anytime you want to make an impression, and serve a yummy dessert that doesn’t take a ton of time to make, you need to try these! The crust is a delightful shortbread made from flour, butter, and pecans or walnuts. If you need to leave the nuts out for allergy reasons, you totally can–it’s still yummy! But if you can leave them in, definitely do–they add a richness of flavor. While the crust is baking, the filling mixes up quickly, and can be refrigerated until the crust is cool. The top layer is heavy cream beat into whipped cream, and then sprinkled with lemon zest. SO yummy! 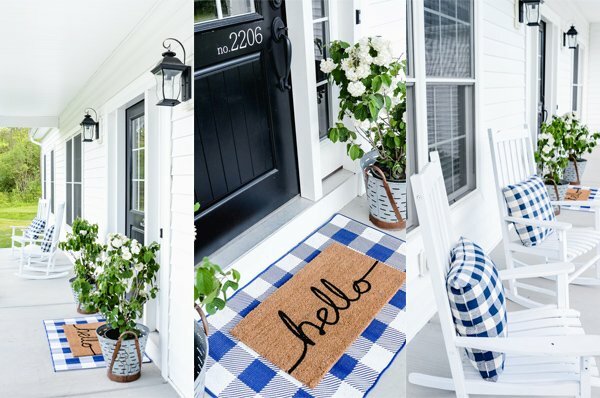 We love it at our house…I think you will at yours too! Combine crust ingredients, and press into a buttered 9x13 baking dish. Bake at 325 degrees for 20 minutes, then let cool. In a large bowl, beat the condensed milk and cream cheese together until smooth. Beat in the lemonade concentrate, and fold in the Cool Whip. If you want to, you can add a drop or two of yellow food coloring, but that's totally optional! When the crust is completely cool, spread this cream cheese mixture on top. Whip the heavy cream until soft peaks form, then add the powdered sugar. This is really to taste--so start with 1/4 c. and then add a little more if you want to. The dessert already is pretty sweet, so in this case less is probably more. Refrigerate until ready to serve, then sprinkle with grated lemon zest! 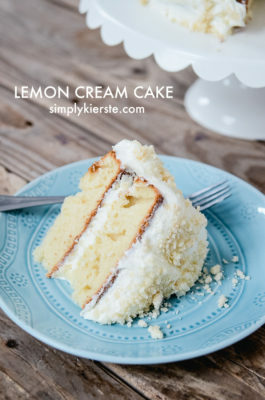 Don’t miss some of my other favorite lemon recipes! Does this hold up for a few days in the fridge? Thanks! Yes—I’ve stored it in the fridge for a couple of days, and it’s been fine!